I thought I would share what I recently received from my brother. 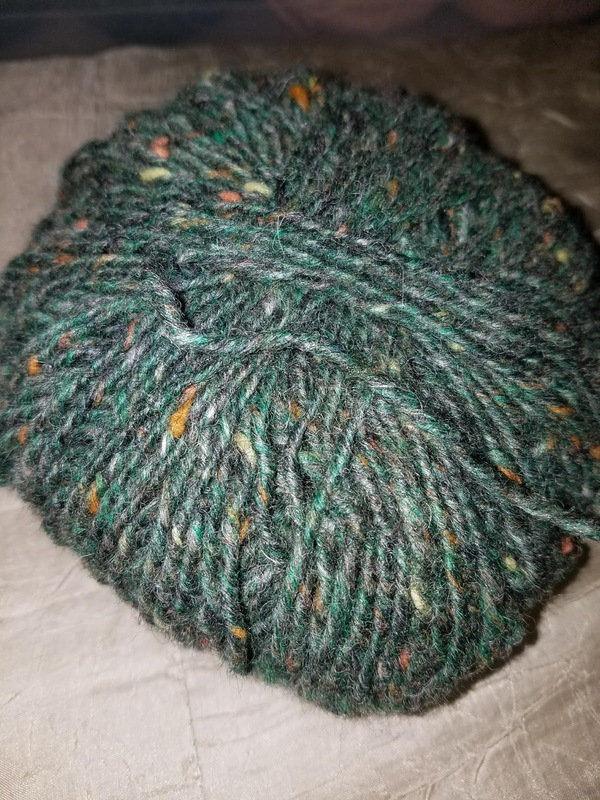 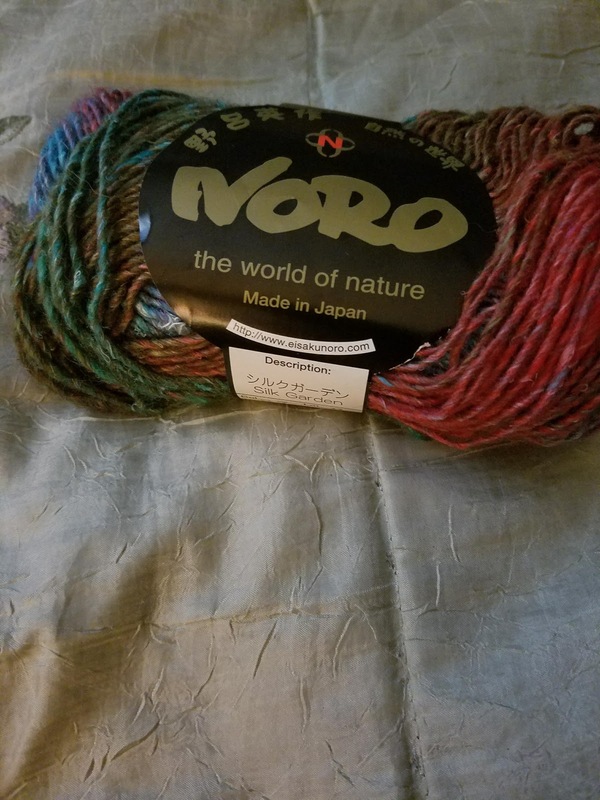 I got one skein of Noro Silk Garden, color 87, lot q. 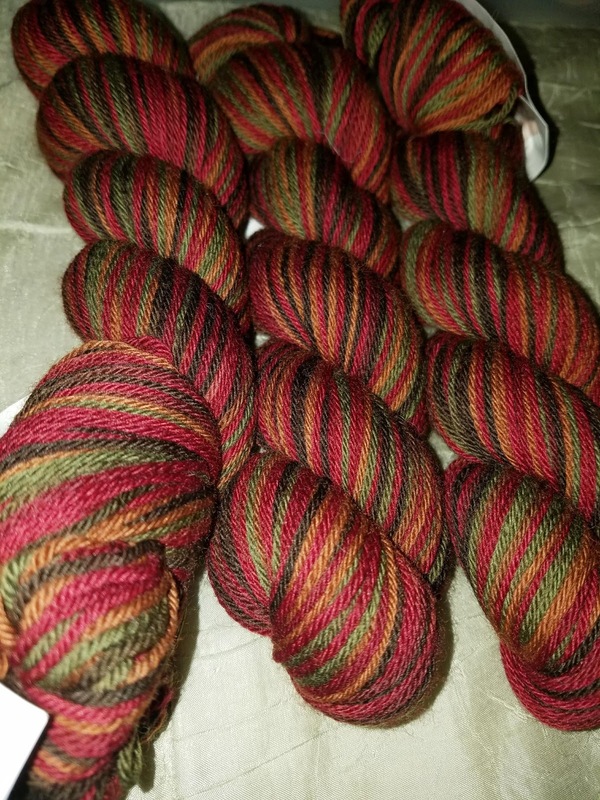 This picture doesn't do it justice. 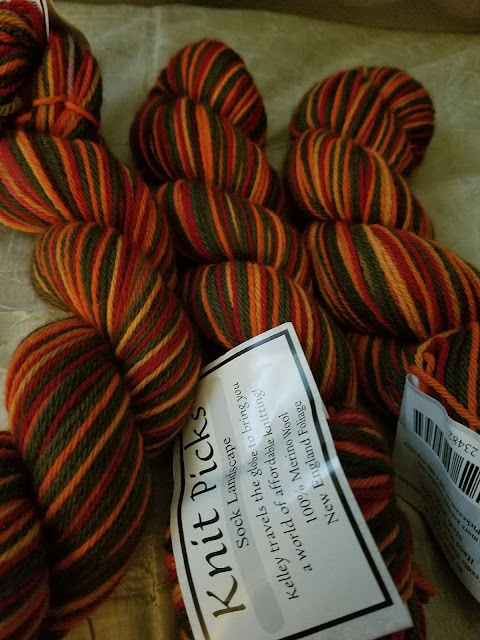 I hope to create a light box soon, and will take a better picture. 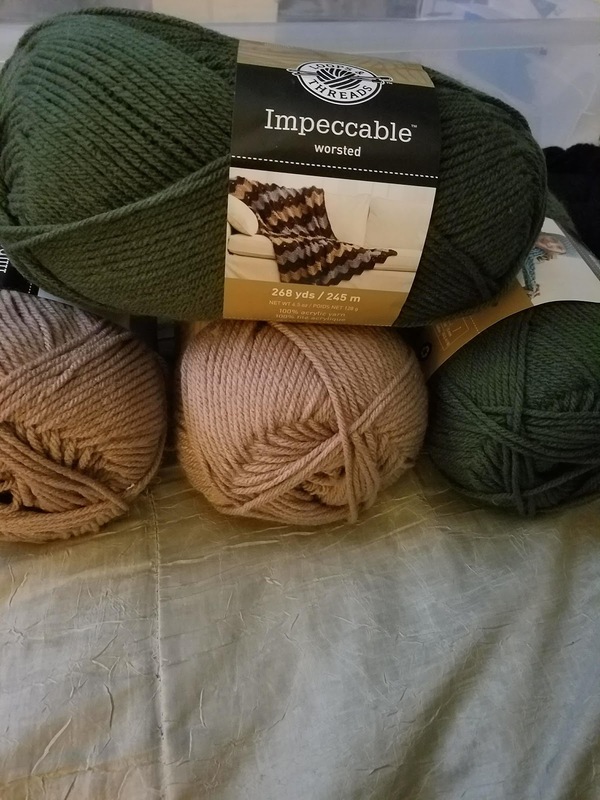 There were 4 skeins of Lion Brand Impeccable, 2 in Deep Forest and 2 in Soft Taupe. 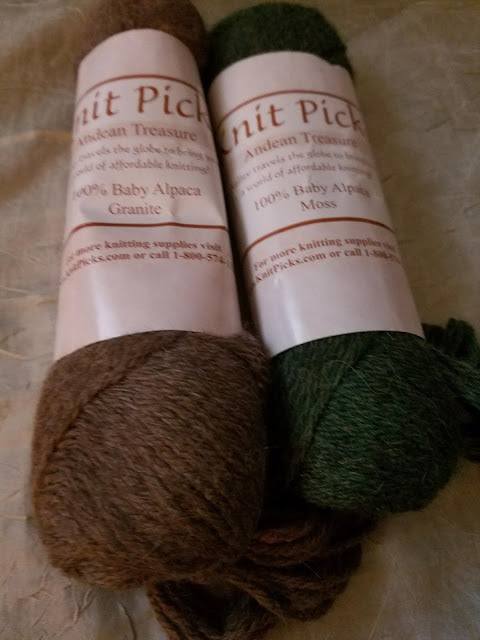 Next up are 2 skeins of Andean Treasure from Knit Picks. 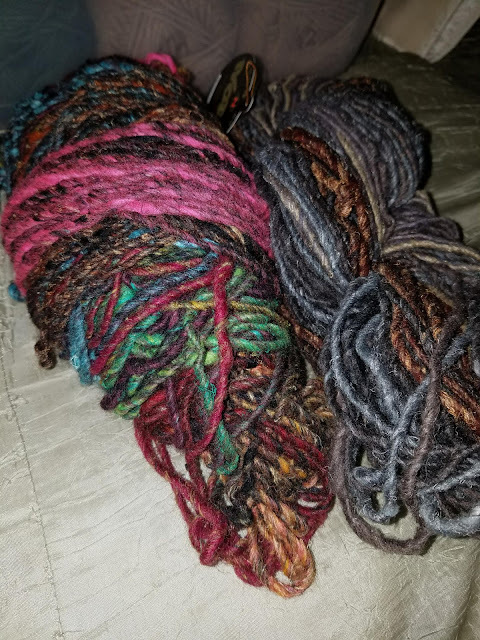 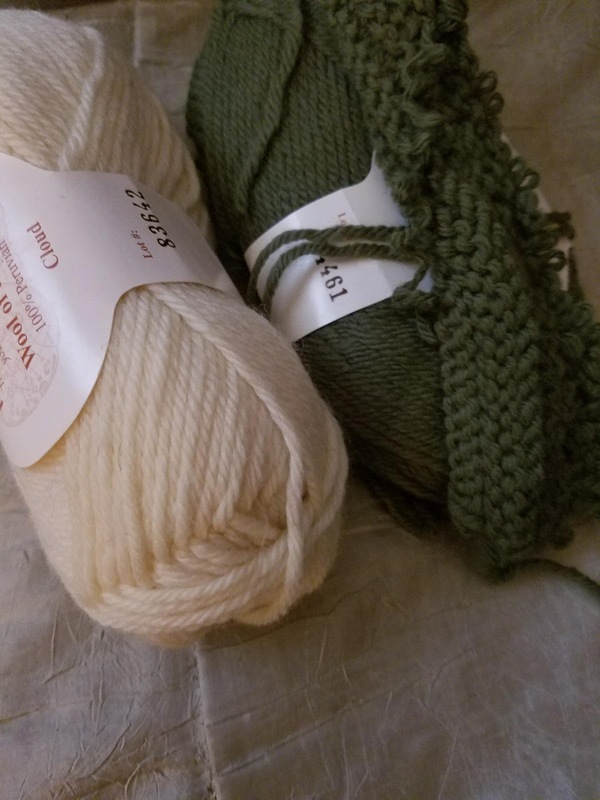 Two skeins of Wool of the Andes in Cloud and Fern. I also have 6 skeins of Sock Landscape, 3 in Red Wood Forest and 3 in New England Foliage. 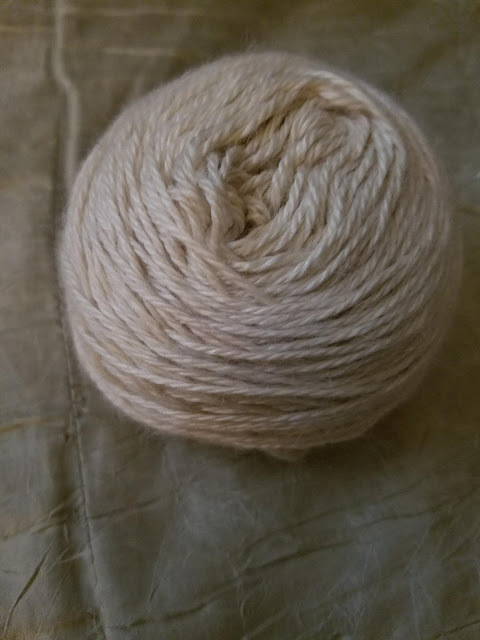 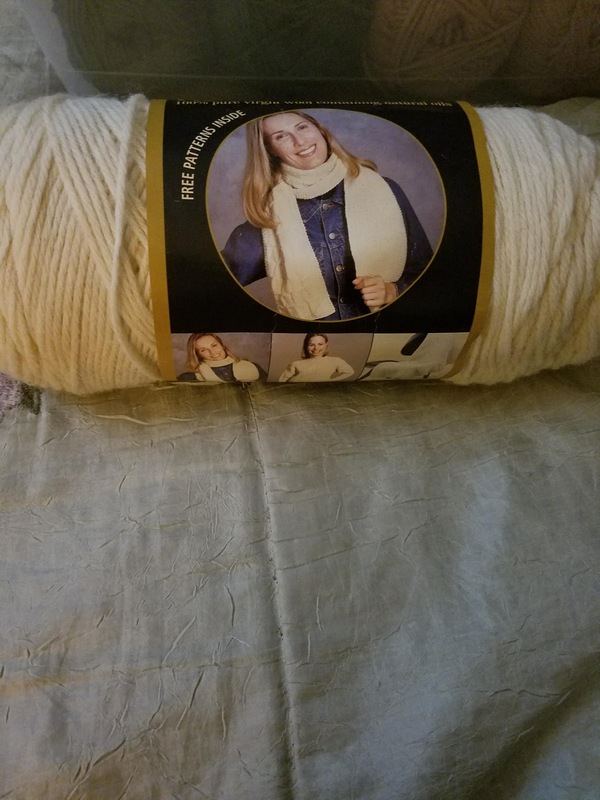 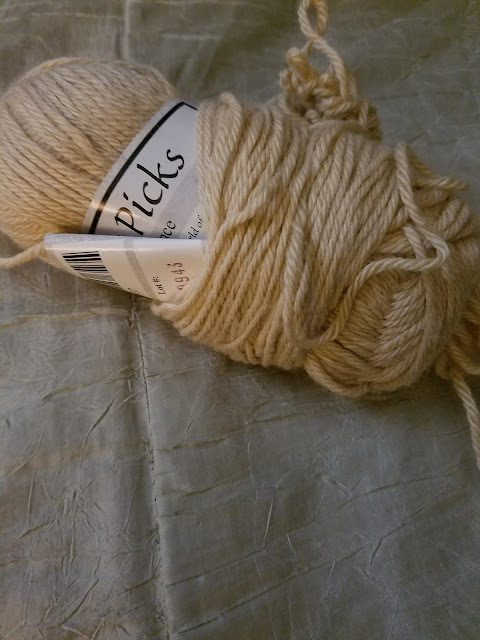 A test skein of Elegance in Oatmeal was found, as well as a mystery skein. 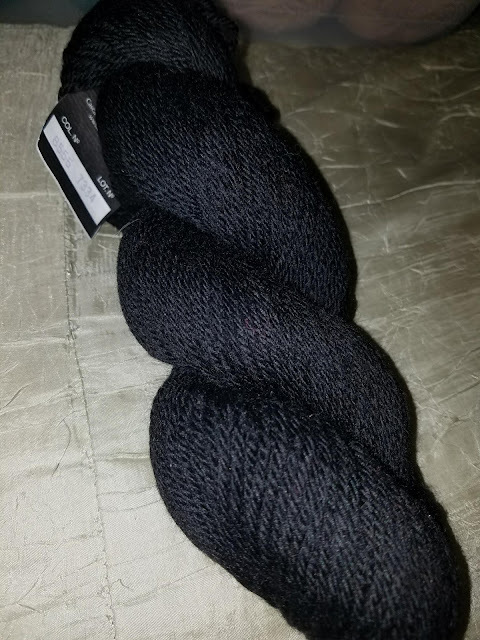 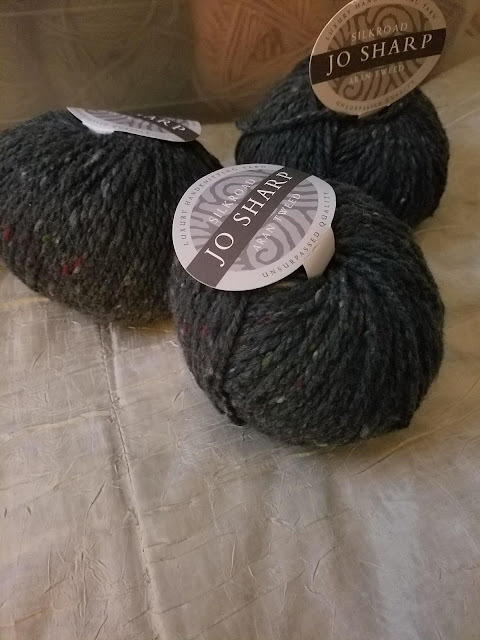 A skein of Cascade 220 in Black (color 8555), Fisherman's wool (that is to be dyed soon), 2 skeins of Bamboo in Black, 3 skeins of Jo Sharp Aran Tweed in 125 Tartan, 3 skeins of Noro Kureyon in 124, 2 other skeins of Noro wool/silk in 2 different colorways, and a skein of some sort of tweed. 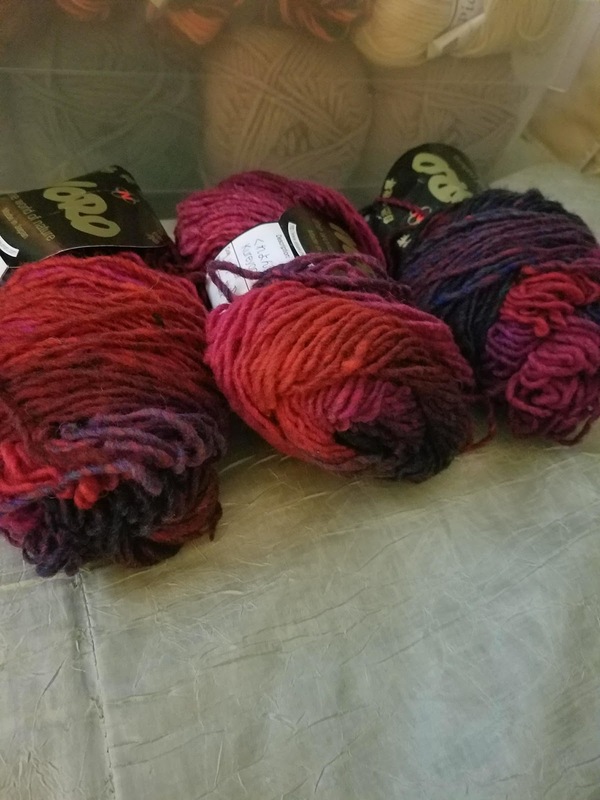 There was more, but I will share all of the other non-yarny things later. Any suggestions on what to do with it? 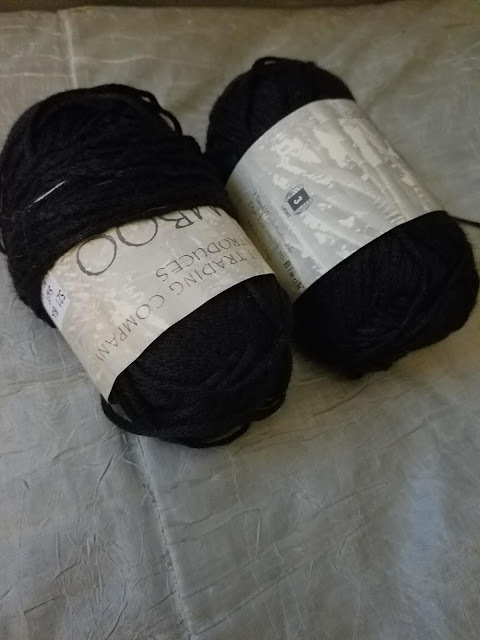 I have a few ideas swimming around, but some of it has not been designated for anything yet.